The TVMSKIT03 combines the innovative, award winning RedVision Total Vehicle Management System and market-leading 15amp Manager15 Battery Management System to provide full control and monitoring of your 4x4, camper, caravan or motorhome. RedVision allows you to control multiple on-board devices, such as turning lights, inverter, water pumps and other loads such as televisions, electric steps and fridges on or off. It also provides you with the ability to monitor water levels, temperatures, and when paired with the Manager15 allows you to monitor your battery power consumption and storage through the provided in-vehicle mounted display or by downloading the app on your own android or IOS device. 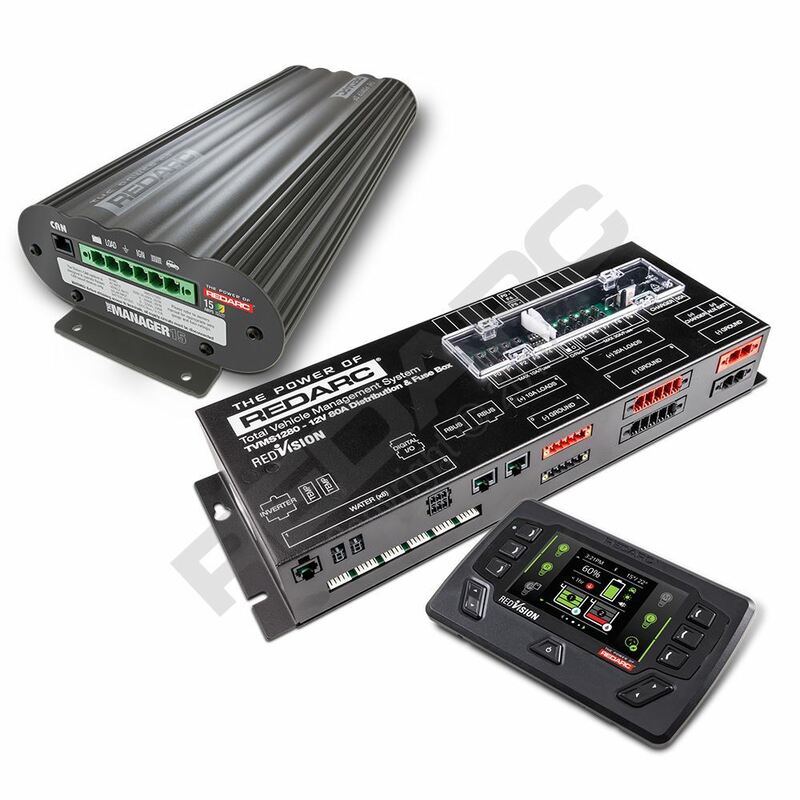 This kit includes The Manager15 main unit, REDARC’s complete battery management system for charging auxiliary batteries used in recreational automotive and marine applications. The DC to DC charger incorporates AC, DC and solar inputs to achieve the best charge for an auxiliary battery and is suitable for all major battery types including Lead Acid, Gel, Calcium, or AGM batteries. The TVMSKIT03 from REDARC is available for fitment into 4WD vehicles and from selected manufacturers of campers, caravans and motorhomes.